Most people think of the elderly when they think about cataracts, but cataracts can also occur in babies and children. They are a leading preventable and treatable cause of blindness in children. The lens of the eye is our window to the world. Normally, this lens is crystal clear, transmitting and focusing light. A cataract is cloudiness of the lens. Most of the time no rhyme or reason is found as to which babies get cataracts. They tend to be more common in those born prematurely. Sometimes they run in families. They have also been associated with a number of prenatal infections, including chickenpox, CMV, herpes, influenza, measles, polio, rubella, and toxoplasmosis. They occur more commonly in chromosomal disorders such as Down syndrome. They are more common in those with inborn errors of metabolism such as galactosemia, with endocrine problems such as diabetes, and in association with certain medications, such as steroids. There has also been an association with eczema. In addition, excessive sun exposure during childhood can lead to cataracts as an adult. Even with all of these associations, for most cataracts the underlying cause is not found. Cataracts are usually discovered because of a white reflection from the baby’s pupil. They are sometimes found when a child is examined for inability to focus both eyes on an object. Cataracts result in vision loss or blindness until treated. Even mild cases that initially have a minimal impact on vision can lead to vision loss from amblyopia if not treated. No – although some of the causes of cataracts are contagious. They last until treated. Even after a cataract is removed, amblyopia may last until treated. They are suspected on routine physical examination. They are characterized and diagnosed on a full eye exam. 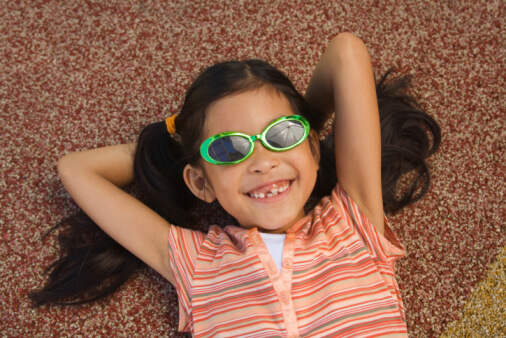 Sunglasses protect children’s eyes from the UV rays and decrease the risk of cataracts in adulthood. Cataracts are often impossible to prevent. Preventing maternal infections during pregnancy is the best bet for preventing cataracts in children. To prevent toxoplasmosis, for instance, avoid eating undercooked meat, cleaning cat litter, and digging in the soil with bare hands. For prevention of other cataract triggers, see the individual articles.